In the Parable of the Wheat and the Tares, the Lord Jesus tells us that he has given instruction to his angels to let believers and unbelievers live together until the end of this age. Then, in Matthew 11:30, he instructs them to first gather together the TARES. But gathering together unbelievers and THEN believers doesn't seem to match the order of the Rapture, does it? 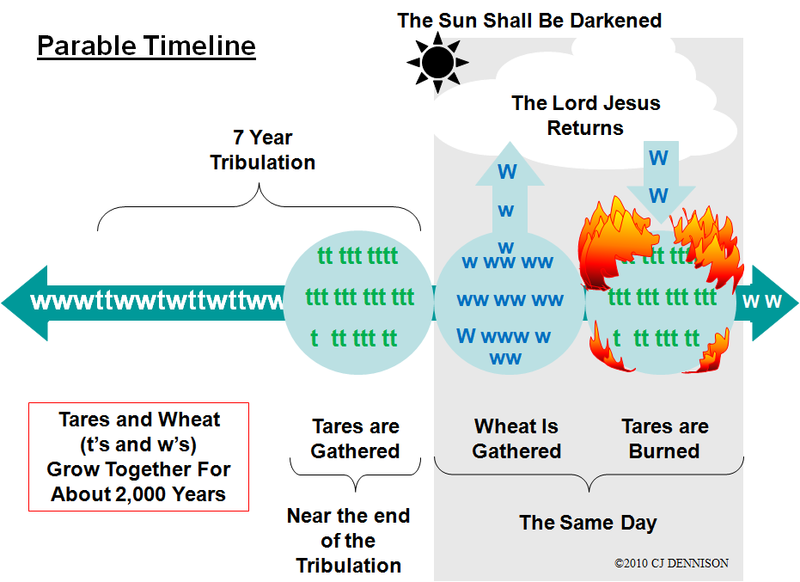 The order of the Rapture is that the saints are first gathered to meet the Lord in the air, and then the unbelievers will be destroyed by fire. And just to make things even more confusing, look at what the angels are doing in Matthew 13:47-50! "Again, the kingdom of heaven is like unto a net, that was cast into the sea, and gathered of every kind: Which, when it was full, they drew to shore, and sat down, and into vessels, but gathered the good, but cast the bad away." Here the order appears to be reversed because the good are gathered first, and then the bad. We find a clue in Matthew 13:40. "As therefore the tares are gathered and burned in the fire; so shall it be in the end of this world." How are tares gathered? Tares are gathered out of the Harvest first. 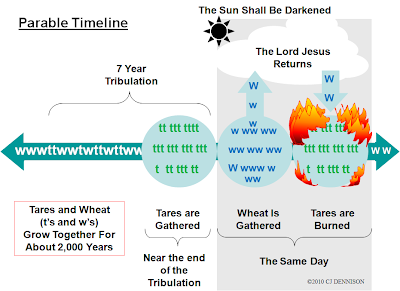 Then the wheat is gathered, and THEN finally the tares are burned. This is the proper order to harvest. This same pattern is evident many times in Scripture. This order is even seen in Matthew 13:47-50, which we just read. The angels gather the good but the cast the bad away which corresponds to steps #2 and #3. BUT, they also sever the wicked from among the just which corresponds to step #1. 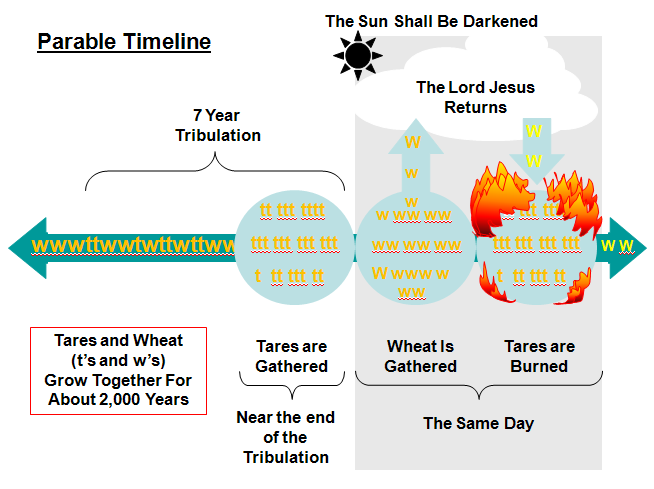 A closer reading of Matthew 13:30 reveals this order as well: "... in the time of harvest I will say to the reapers, Gather ye together first the tares, and bind them in bundles to burn them: but gather the wheat into my barn." This verse does NOT say, Gather the tares AND burn them. No, it says, Gather them together TO burn them. At a later time. The nations are gathered FOR THE PURPOSE of destroying them, but this burning does NOT happen until after the saints are gathered out. We'll learn more about this later!